Food experts advised to include different types of seed along with fruits-vegetables. One of the same seeds is linseed, which has omega-3 fatty acid, protein, fiber, vitamins and minerals. It is beneficial to keep body healthy. 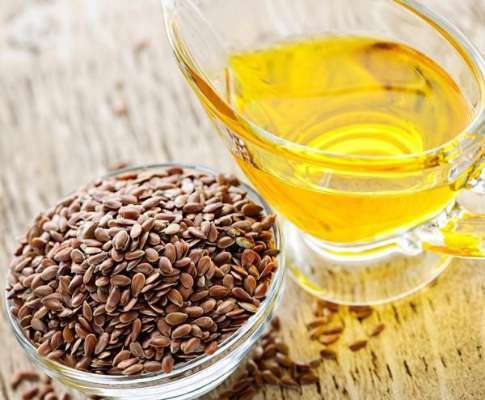 Mix 2 teaspoon linseed seed with 2 cup of water. Boil it until it remains half. Filter the juice and drink it when it becomes cool. Blood Sugar: Linseed juice is boon for diabetes patient. In morning, the consumption of linseed juice reduces the diabetes level. Thyroid: In morning, the consumption of linseed juice is beneficial in hypothyroid and hyperthyroid. Heart Problem: The regular consumption of linseed juice avoids blockage of arteries. Linseed contains omega-3 that reduces bad cholesterol (LDL) from the body. This avoids heart disease. Joint Pain: Regular consumption of linseed juice is beneficial in the pain of the cytika, vein, knees or any other joint pain. Obesity: Linseed juice helps to removes fat from the body. Linseed contain fiber that reduces hunger and gives energy to the body. Stomach Problem: The regular consumption of linseed juice avoids constipation, stomach pain and flatulence. Hair: The consumption of half teaspoon linseed with warm water avoids hair fall. This also avoids white hair. Skin: Linseed is beneficial to avoid dryness, pimples-acne, eczema and allergy. It makes skin soft.